What Is The Difference Between a Mobile Website and a Native App? 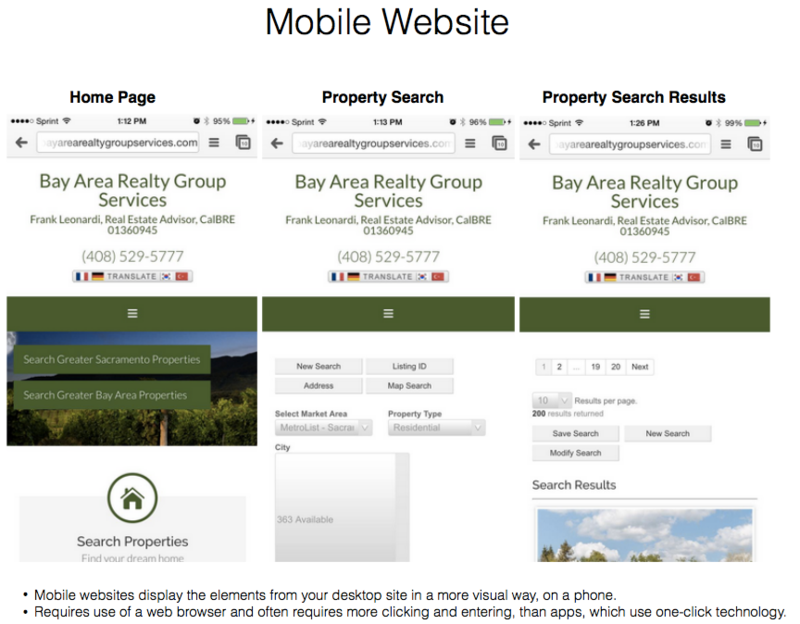 Mobile sites are used to let mobile website visitors know that they are in the right place. They are essential for search engine positioning, website conversion (lead generation), and will be an absolute necessity for the foreseeable future. However, mobile websites do not offer the same functionality that mobile apps do. Scroll down to find out more. Get your own Mobile App Today. Try it out! What are some of the main differences between a mobile web site and a mobile app? Scroll (mobile sites) vs. swipe (app) , interactive maps, and the ability to exist on a customer’s phone throughout their home purchase, are just scratching the surface. A native mobile app is an application that is directly installed onto the mobile device. Native apps are typically found online or at the App Store. Its strengths include interfacing with the mobile device’s features and information. It also typically performs faster than mobile websites, and allows for faster and easier access regardless of location and carrier network access. Why Create A Native Personal App? A native application is significantly easier for a visitor to find on their device compared to a mobile site that is typically buried as a bookmark within their browser. A native application can contain highly interactive features that go well beyond what is possible with a web site. The native application has access to the whole library of user interface controls supported by the device that can be combined to produce unique and compelling user interfaces to engage the user. A native application has everything pre-installed on the device and is able to run as fast as the device allows creating a great user experience. A mobile web site has to interact with the web server through the data network and is inherently slower. A mobile website that uses Google’s online mapping services is restricted to five different icon types, or it must use a more dynamic but significantly slower method for building the map. A native application is able to use the mapping library built into the device. For example, Snapp Real Estate app’s main function is geolocation, gps, and interactive mapping. A native app can help you streamline your sales processes. Customers can efficiently contact you directly by texting or messaging about listings seen that day. A native app gives you more personal features, resulting in higher conversion rates. 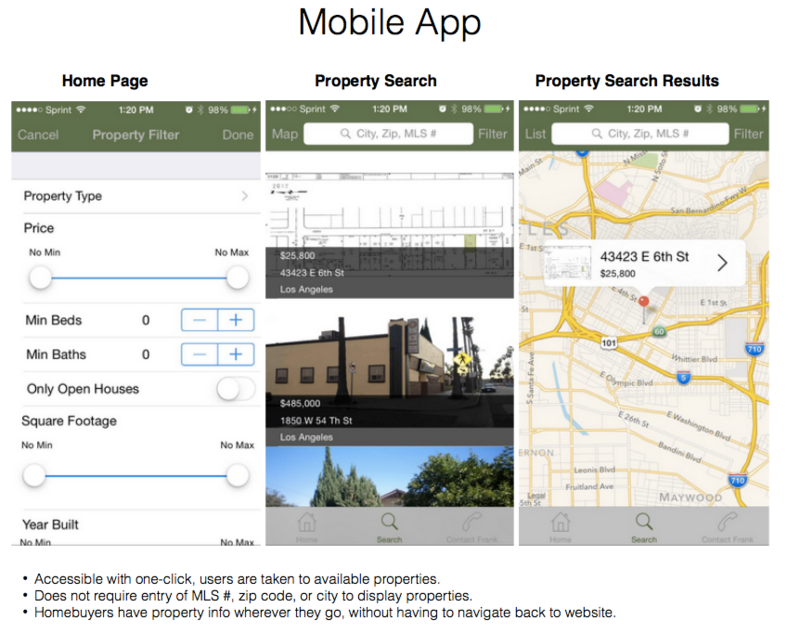 For more info about how SnApp can build a native mobile app for your real estate business, click here. This entry was posted in Mobile Apps for Real Estate Agents, SnApp Development and tagged app designers, app developer for hire, app development apple, app development companies, app development for iphone app development iphone, app development ios, apple app development, apple app development cost, apple application development, apple apps development, application development company, companies iphone application development company llc mobile application companies mobile applications development companies mobile applications for real estate mobile applications for real estate agen. Bookmark the permalink. ← Why Is It So Important To Be Mobile Friendly? Ask Google.